Mini, Musical & Magical Trees Made to Help You Prosper. Colorful Sculptures with Awesomely Upcycled Elements. I don't know about you, but I have a special place in my heart for Art that is based on a story. This may seem pretty straightforward when you think about paintings and illustration, but what about sculpture or jewelry? 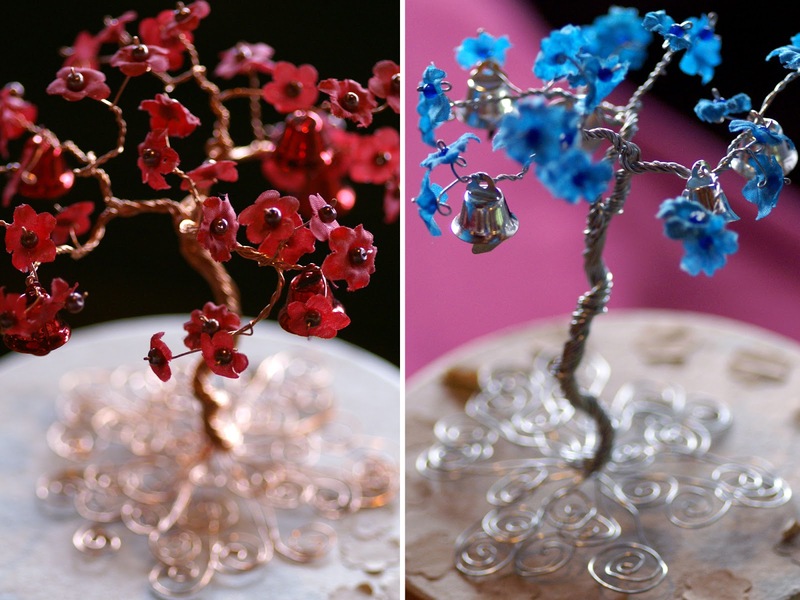 Some artists focus on what looks good and often make very striking pieces, but whats really unique about the work by Denise Self of Self Made is the meaning behind each little tree. She still thinks back to her childhood when she first learned about Prosper Trees from her grandmother. She loved the idea of ringing the bells for good luck and so did her daughters years later. What started as a project for her family quickly turned into an art that she now shares with all of us! She sculpts her trees out of copper wire, recycled as often as possible. While some come with granite bases, I personally love seeing those with spiraling exposed roots that can used in a variety of ways like table decor for special events! 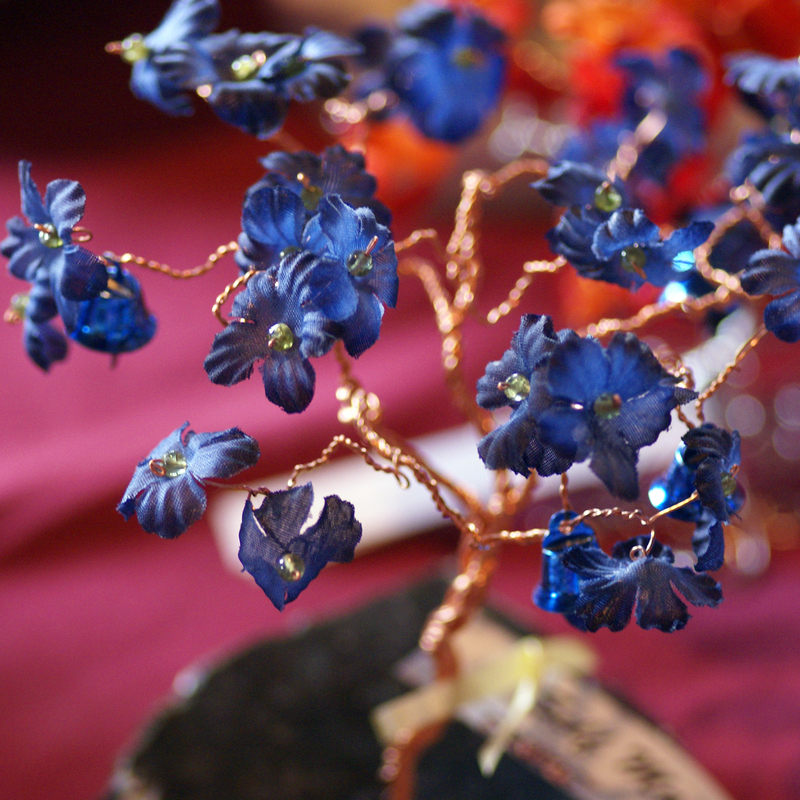 After the wire framework is shaped, she decorates the branches with a variety of found upcycled items to make leaves and flowers. 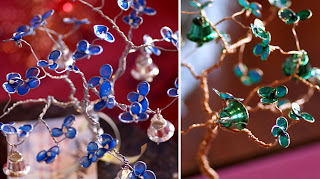 She also creates so trees with stained glass like leaves that are beautiful with the light shining on them! Last, but not least are the bells. One thing Denise loves about the evolution of her craft is how fun the trees are to customize. 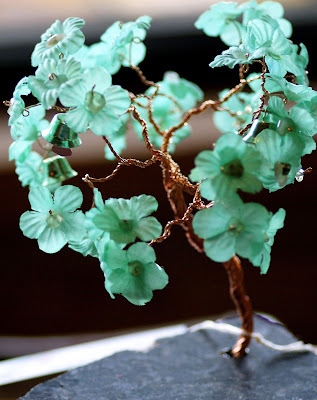 She creates beautiful color combinations on her own, but she is always happy to incorporate personal requests so your prosper tree is most meaningful to you! From some of the custom asks that have come in, she occasionally also makes jewelry and crowns I the same materials and style. Denise's trees are so eye catching and story filled, they instantly make me smile! Enjoy!